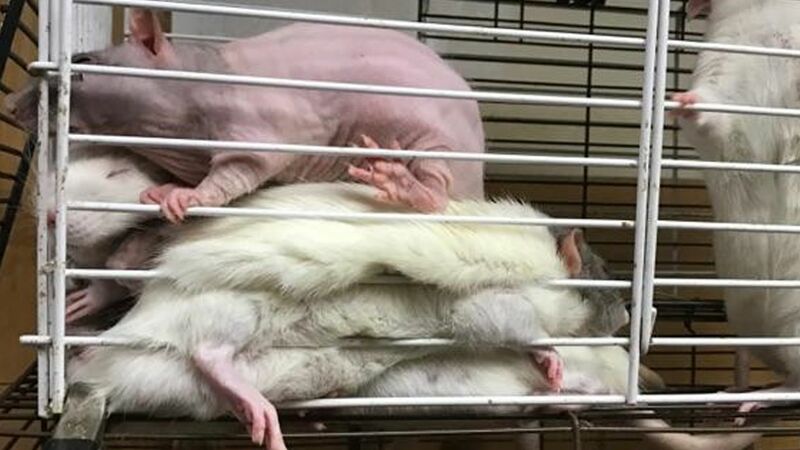 RONKONKOMA, Long Island (WABC) -- Photos have been released showing a few of the hundreds of rats found inside a store on Long Island last week. The rats -- 267 in all -- were seized from the antique store called "A Long Island Picker Inc." in Ronkonkoma on January 3. Animal control officers responded after reports of a foul odor coming from the store. They found the rats living in what they called a deplorable environment. Fifteen additional rats were found living in the walls of the strip mall. Officials said the animals are apparently domesticated rats that were being bred. The rats were being evaluated by a veterinarian who specializes in the species. The SPCA is reportedly trying to figure out whether to charge the owner with animal cruelty. The store has been condemned by the town of Brookhaven.